Dishes are always with a baby. A baby uses bowl and spoon every day. 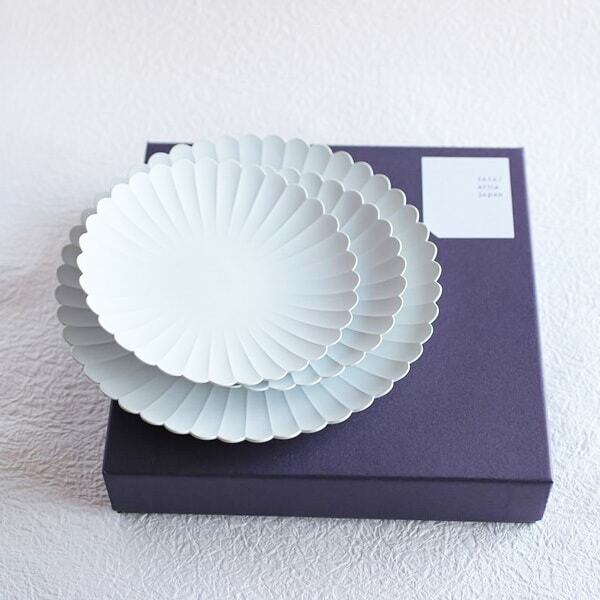 Therefore, please select safe, useful, and good design tableware. 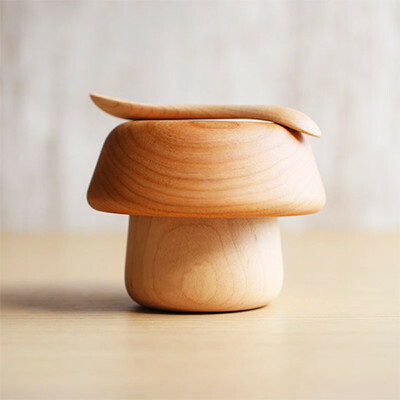 This “Mushroom bowl and spoon” from SUNAOLAB meet the demands of baby bowl and spoon. 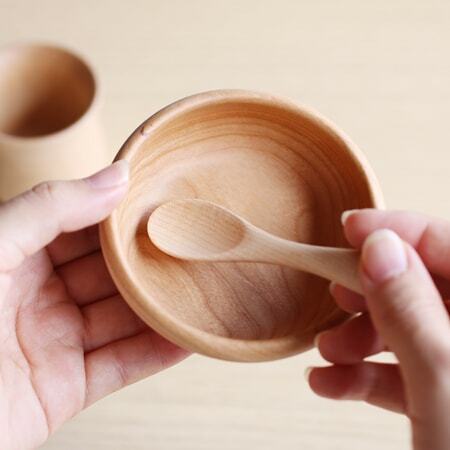 This wooden bowl and spoon has good design, material, usefulness, and full of love. 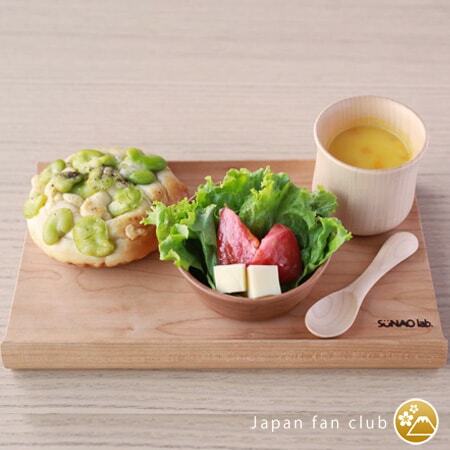 “Mushroom bowl and spoon” of SUNAOLAB is characterized by the gentle wood texture and simple form for easy to use. 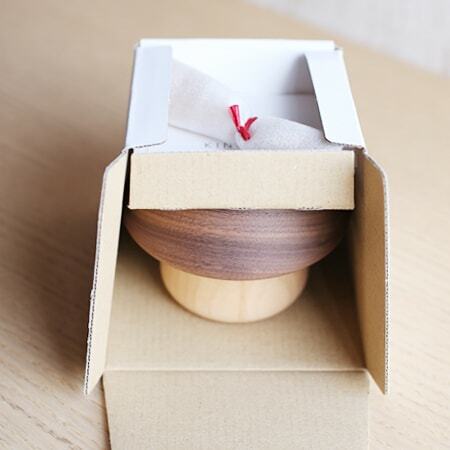 “Mushroom bowl and spoon” is composed of a bowl, a cup, and a baby spoon. 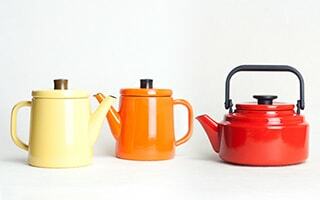 The form materialized from an idea came from the life with small children. He accepted opinions of his children and his customers to materialize the product of the best form, material, and skill of craftsmen. 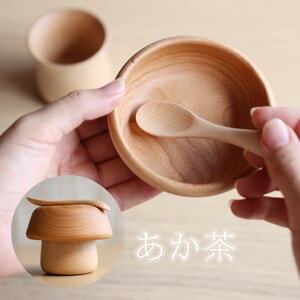 As the name “Mushroom bowl and spoon” illustrates, when you put the bowl on the cup, it will become a mushroom. 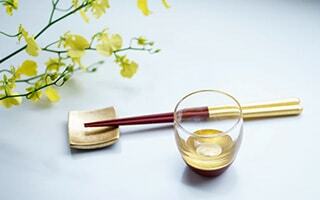 This wooden bowl and spoon with good material and design have been popular as a celebration of a birth. Babies spill the food and drop the dishes. 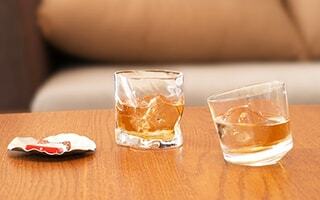 Tableware for babies should be useful and tough. 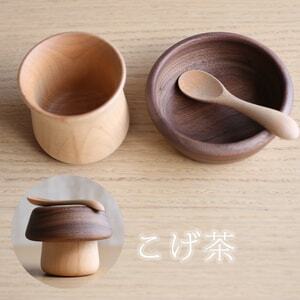 “Mushroom bowl and spoon” is made of wood. therefore, this bowl and spoon is light and tough. The surface is smooth. Wood is hard to conduct heat. 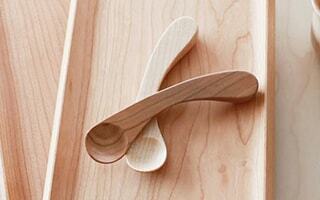 So, this wooden bowl and spoon is suitable for the first tableware of baby. The bowl has enough thick, so it is unbreakable. 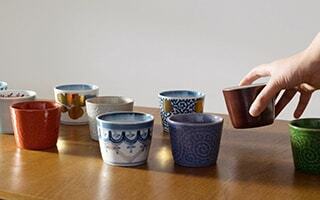 The center of the cup is slightly hollow so that babies as well as adults can hold it easily. 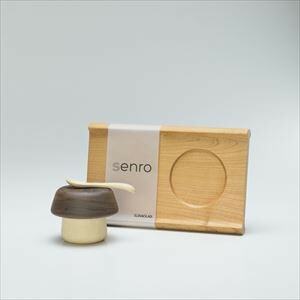 SUNAOLAB offers two types of “Mushroom bowl and spoon.” One is made of walnuts. The color of walnuts is dark brown. 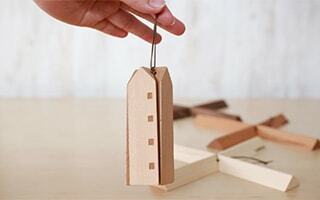 The another is made of cherry wood. 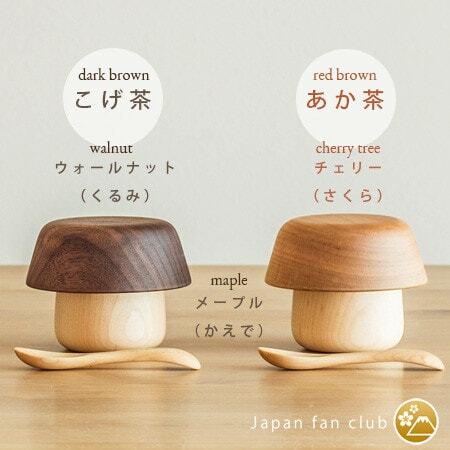 The color of cherry wood is reddish brown. 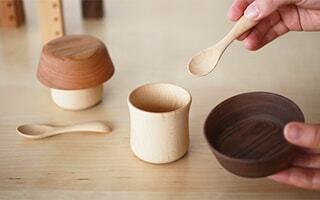 Cup and spoon are made of maple tree. All the woods are selected and hard enough not to get flaw. 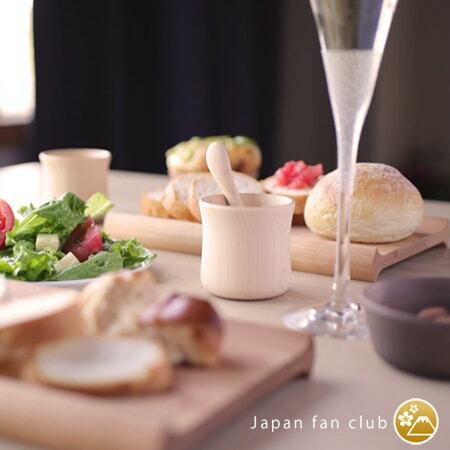 Skilled craftsmen handmade all wooden baby tableware in an atelier in Japan. 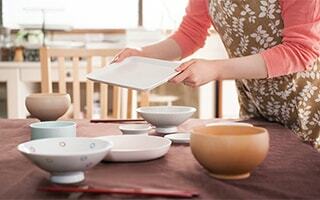 The craftsmen use safe paint which conforms to the food hygiene law. 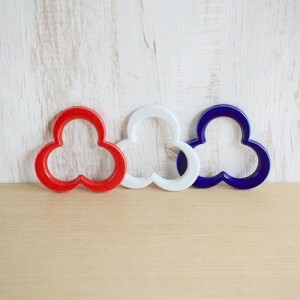 Small children can use it without anxiety. When you imagine the baby bowl and spoon, you may imagine the too childish tableware. 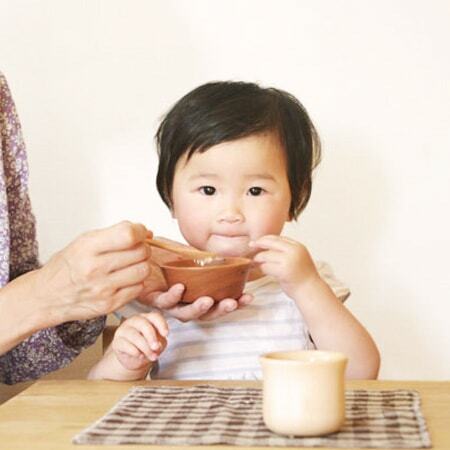 However, babies can use this “Mushroom bowl and spoon” even he or she grow up. 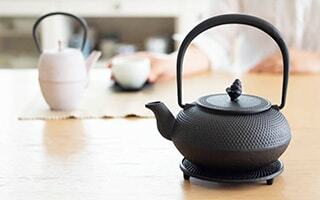 Since the wooden bowl and spoon is simple design, you can use it for a long time as cute tableware or container. Everything babies touch and see influence the sensitivity of small child. 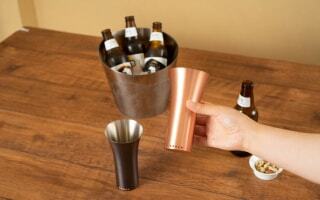 Also, the good tool satisfies adults even it is a tool for children. 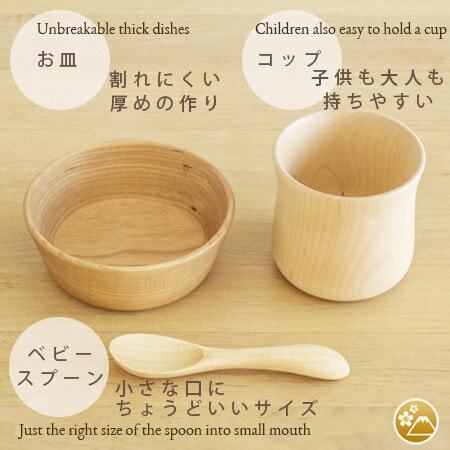 We wish all the small children will grow up with good tool, like this wooden baby bowl and spoon. 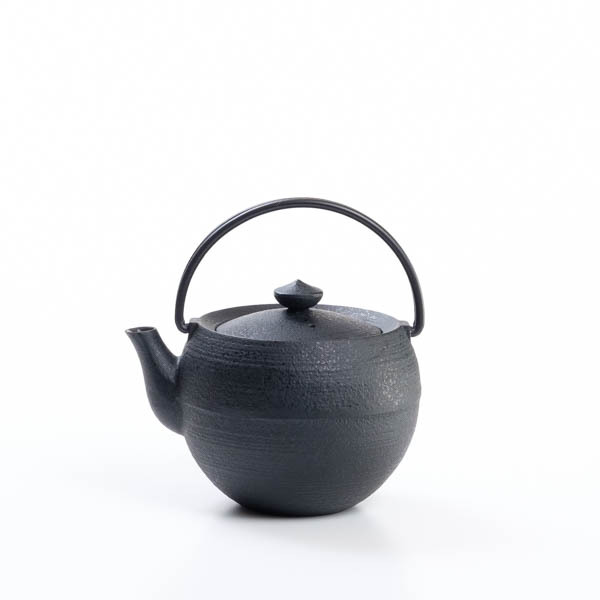 Fukuoka Design Award is a comprehensive design award sponsored by Fukuoka prefecture and Fukuoka Design Association. 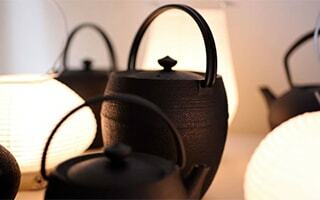 The Award is given for the products made in Fukuoka which has marketability and high originality. 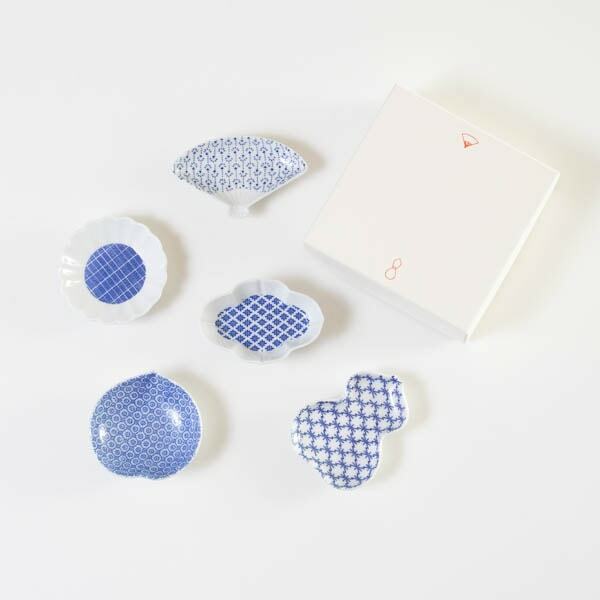 We make Japan Design Store original sets. 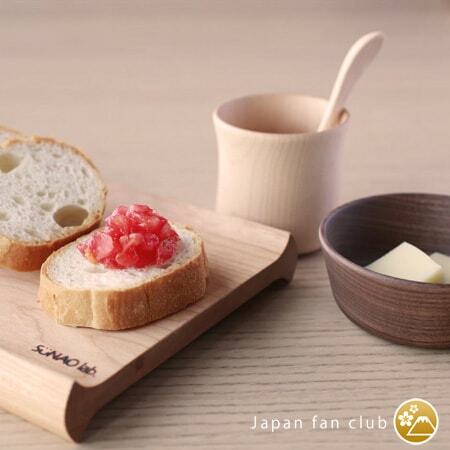 For cute and natural “Mushroom bowl and spoon”, natural wooden bread board “SENRO” suits well. 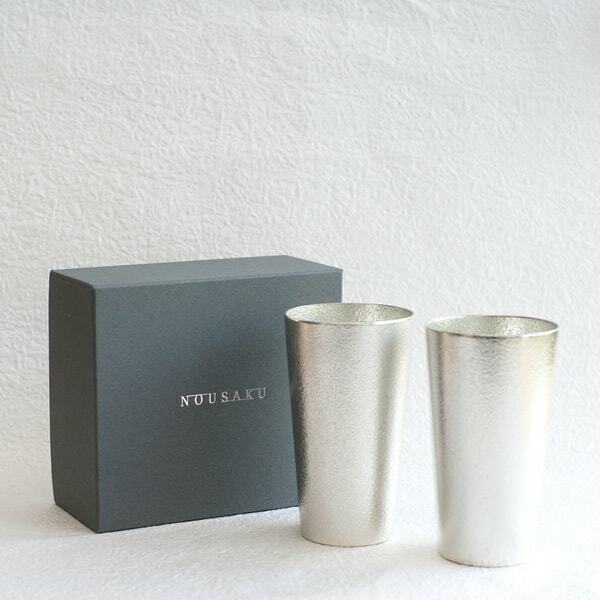 The sets are suitable for gifts, too. The bowl is just size for mother. It is easy to hold and handle. 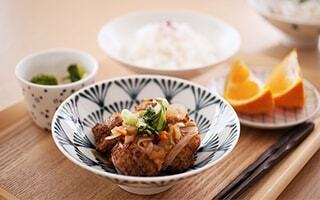 Mushroom bowl and spoon will be a favorite tableware of children. Cute bowl let babies have good appetite. Craftsmen make careful finishing. 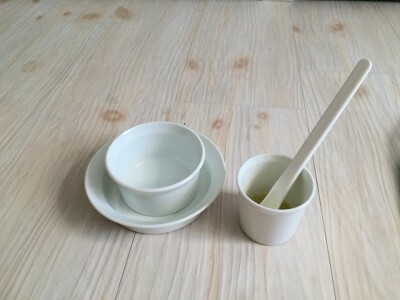 That is why this bowl and spoon has smooth surface. 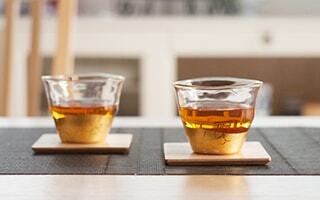 Please enjoy the changing taste of wooden tableware. 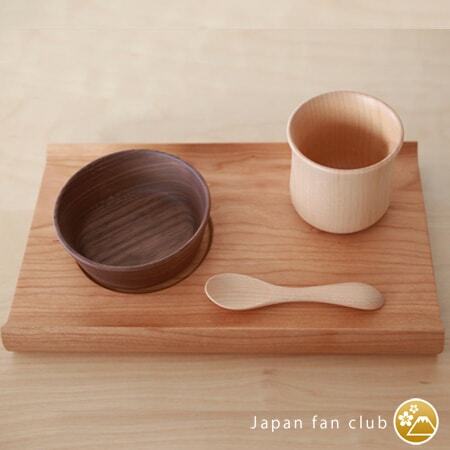 Adults can use this wooden bowl and spoon for a container of jam or butter. 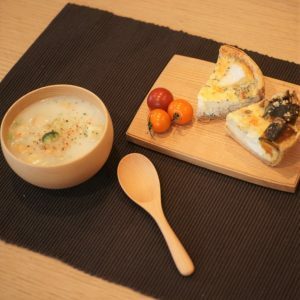 Good breakfast with Mushroom bowl and spoon. You can feel the gentle texture of wood every day. 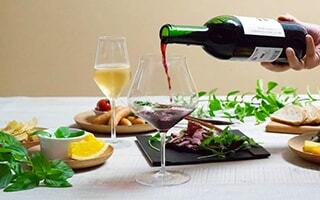 Chic color and design fit elegant table coordinate. 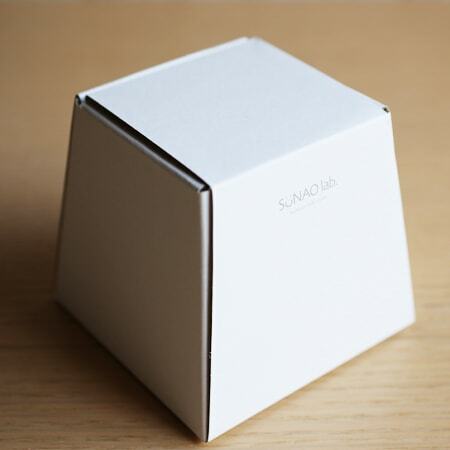 Unique gift box. Good present for celebration of a birth. 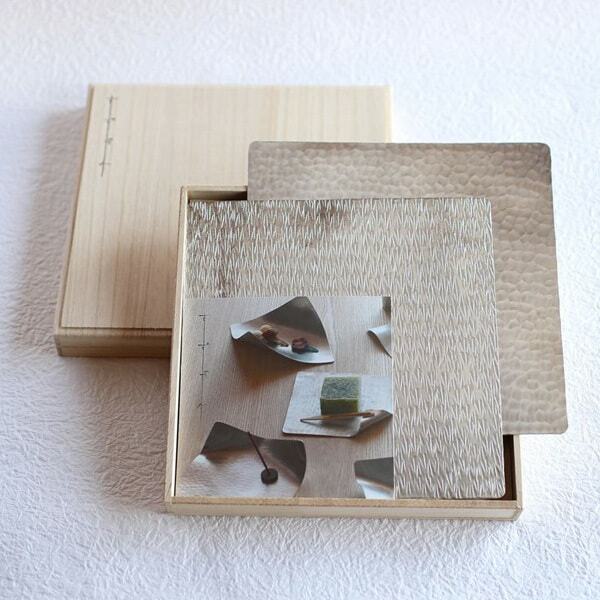 Clean gift box for new babies. Celebration for a birth. * Please note that the color or the grain of wood may be different from the pictures. 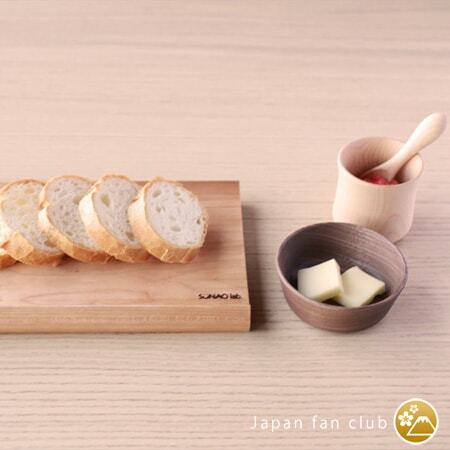 All the products are made of natural wood. * Wash with soft sponge with ph.-balanced detergent after use. * Please wipe the water after wash the bowl and spoon as soon as possible. * Please do not use microwave, dish dryer or dishwasher.